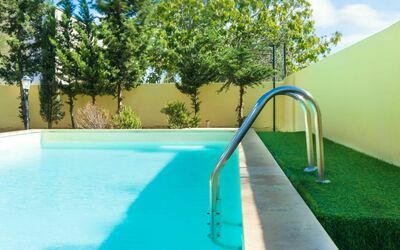 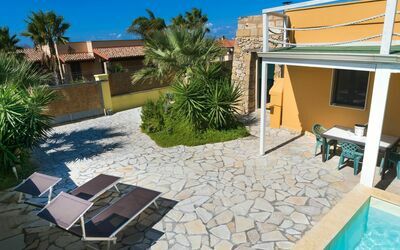 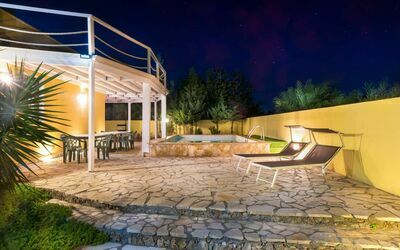 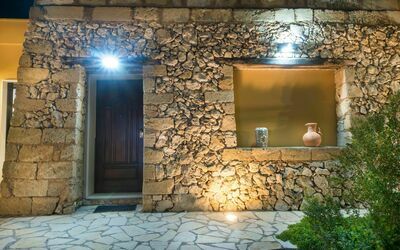 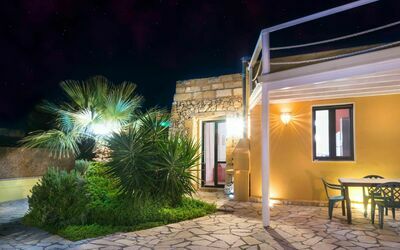 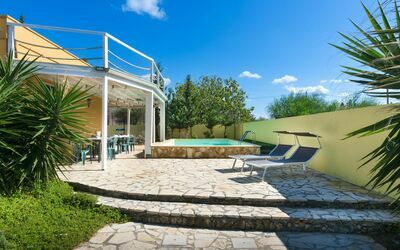 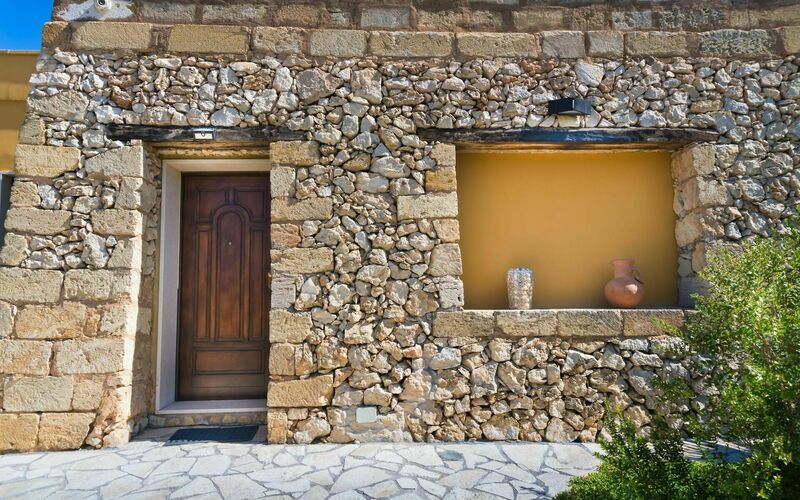 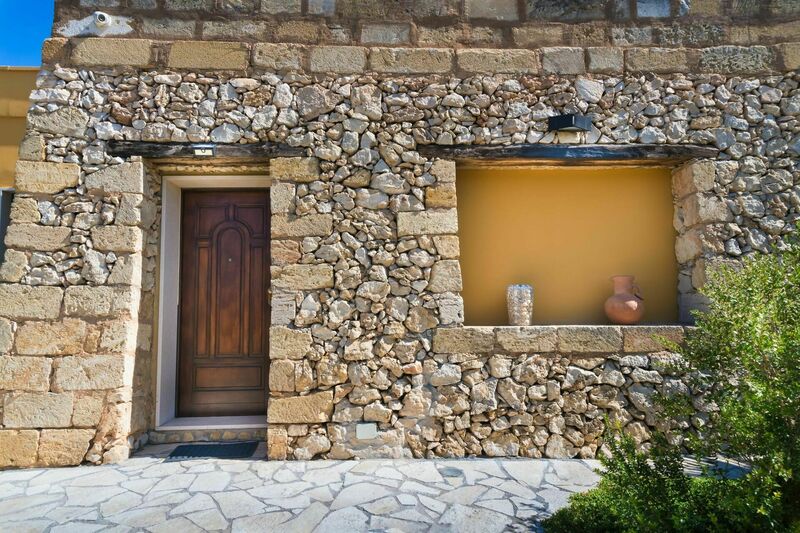 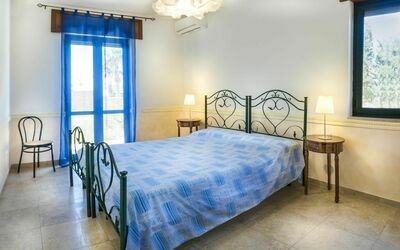 This lovely villa is located in Gallipoli, a seaside town known for its baroque historical city center and beautiful Baia Verde beaches. 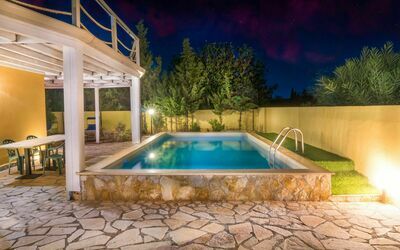 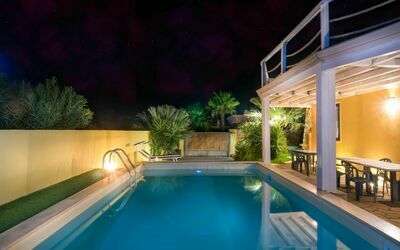 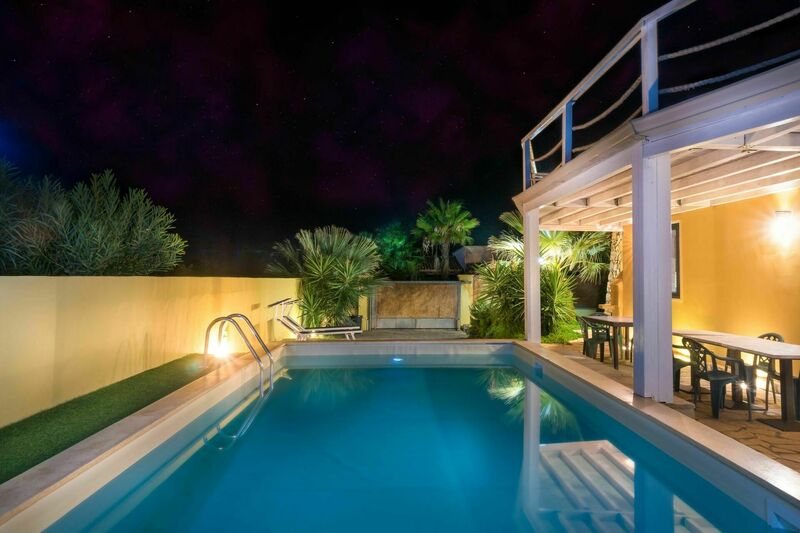 The villa has a garden with a private pool. 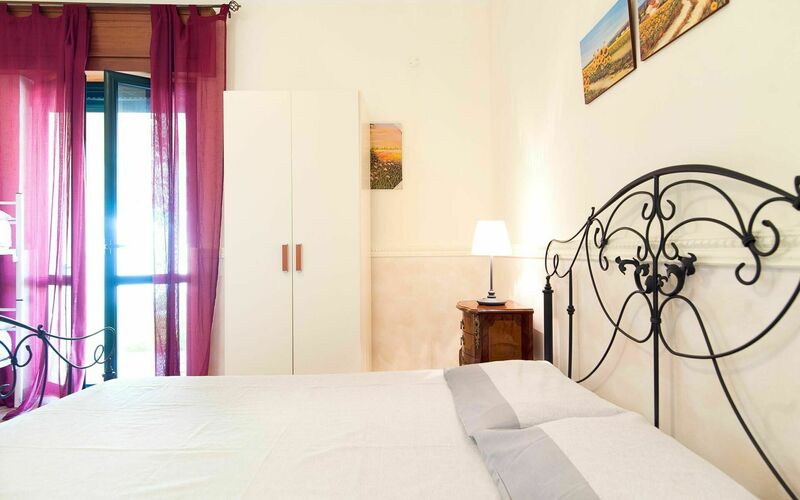 The tastefully decorated interior is a welcoming blend of traditional Italy and modern comfort. 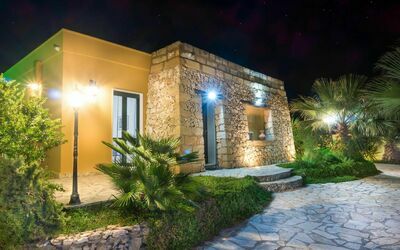 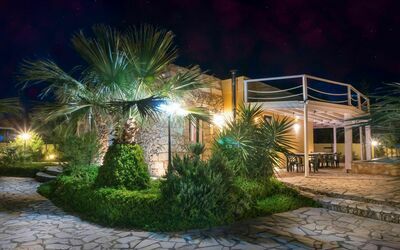 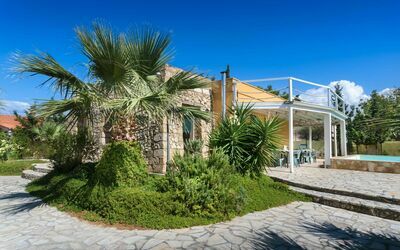 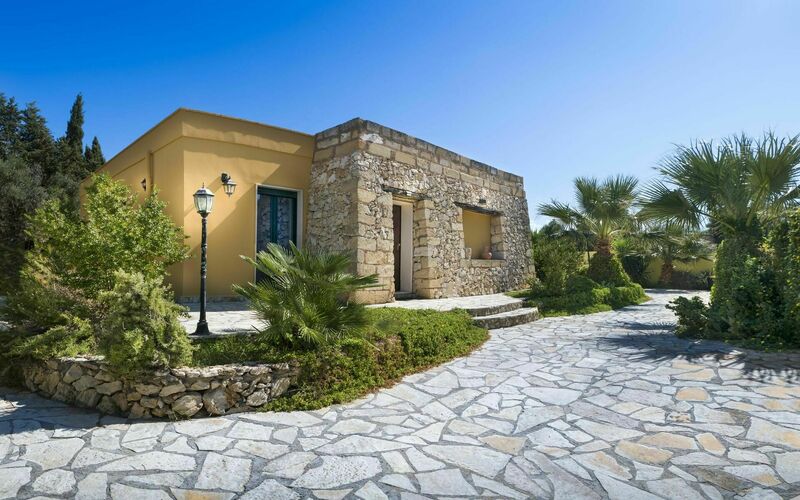 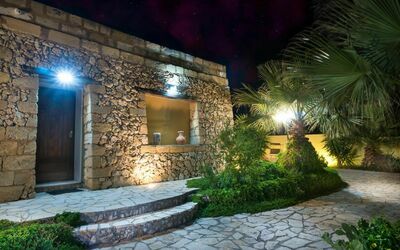 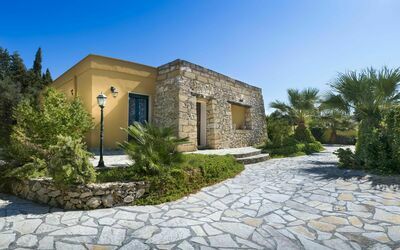 The villa houses up to 8 guests with two double bedroom, a third room with a bunk bed, two full bathrooms, and a kitchen. 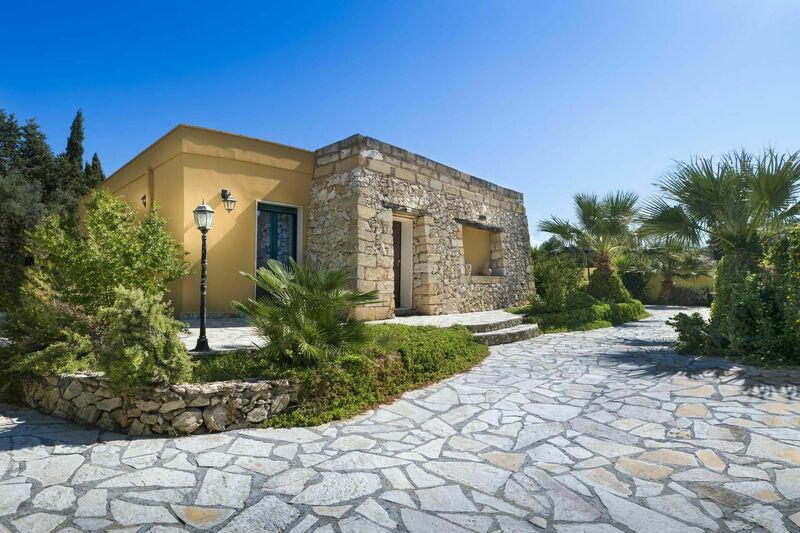 Commercial services and the nearest bus stop are just a few kilometers away. The sea is less than 2 km away, there is onsite parking, and small pets are welcome. 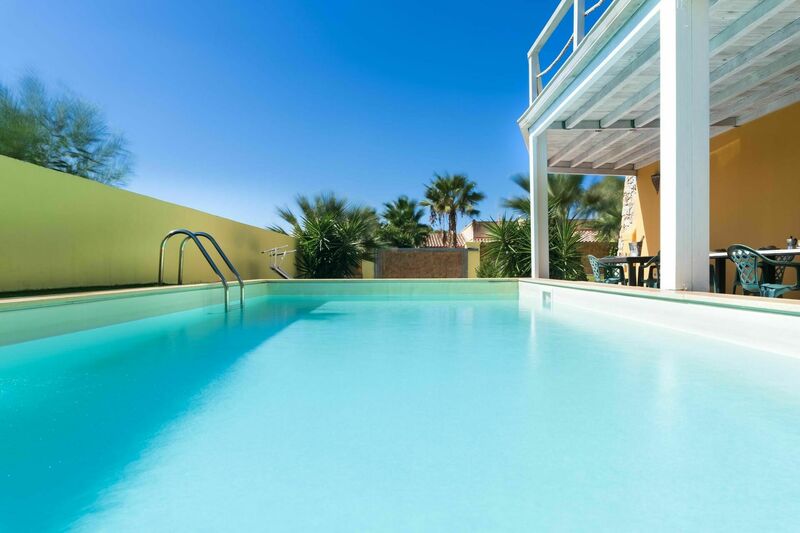 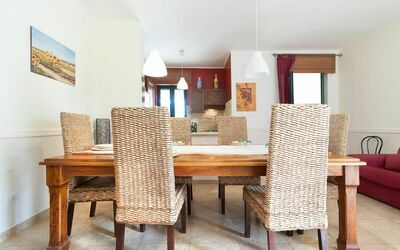 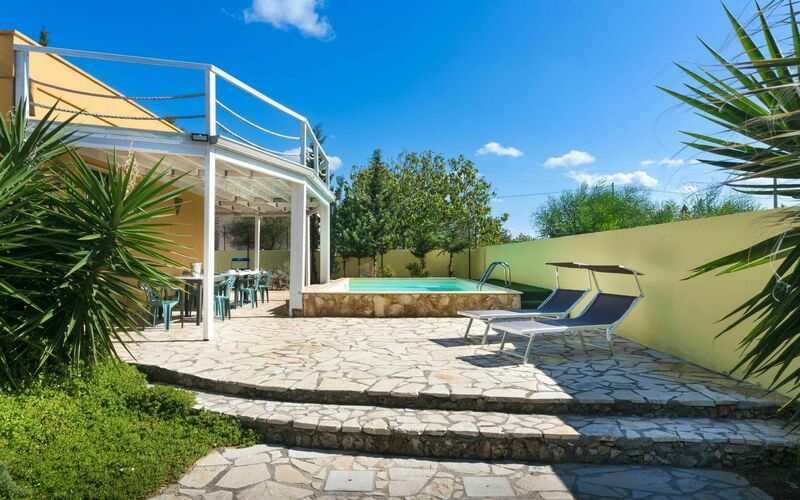 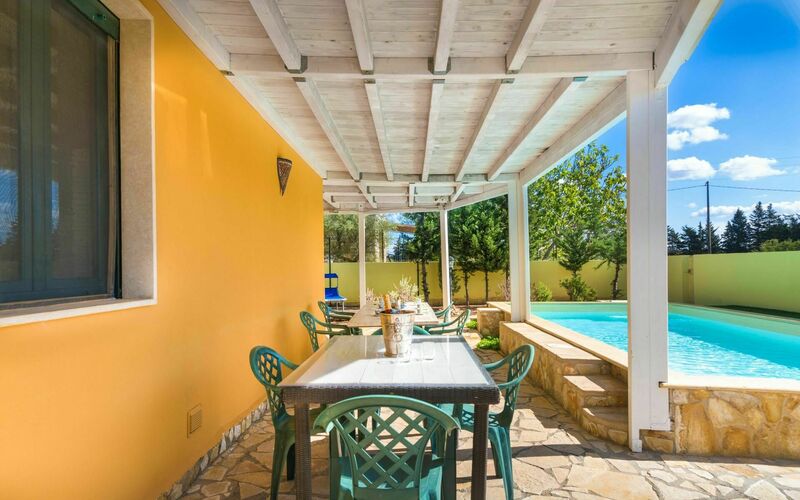 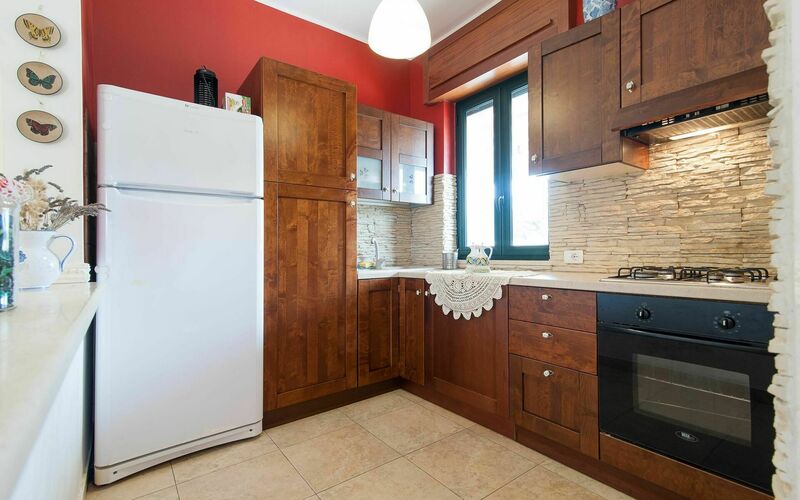 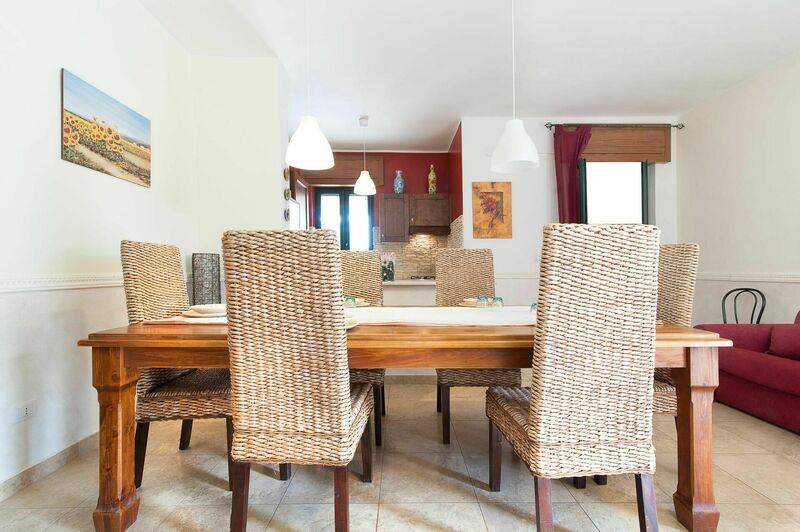 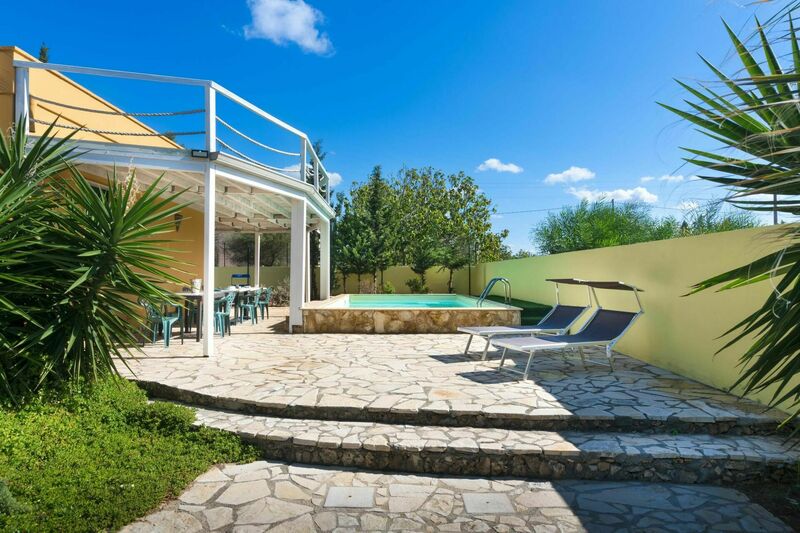 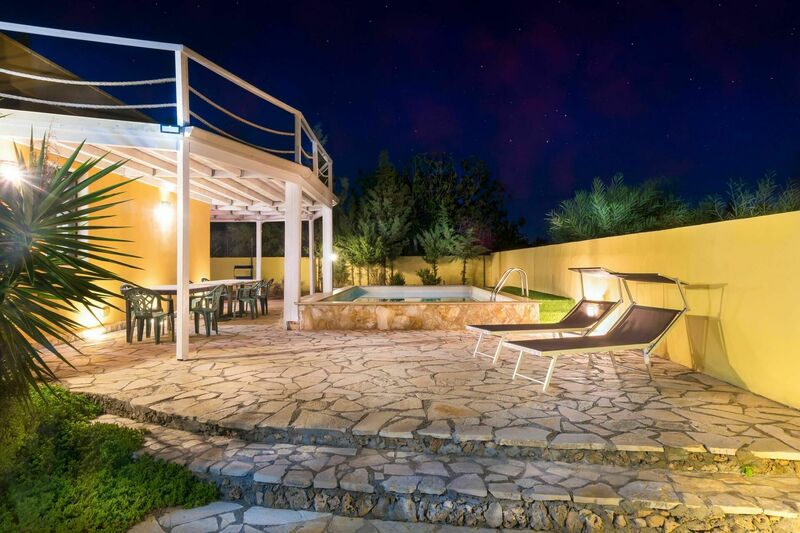 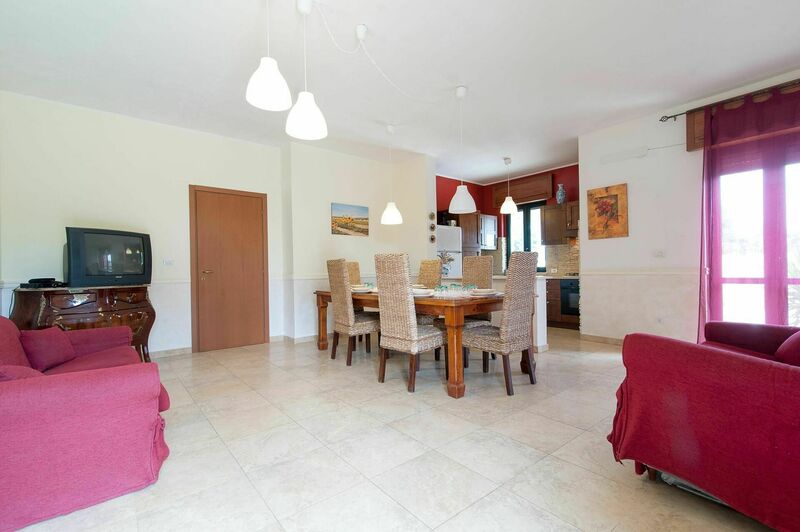 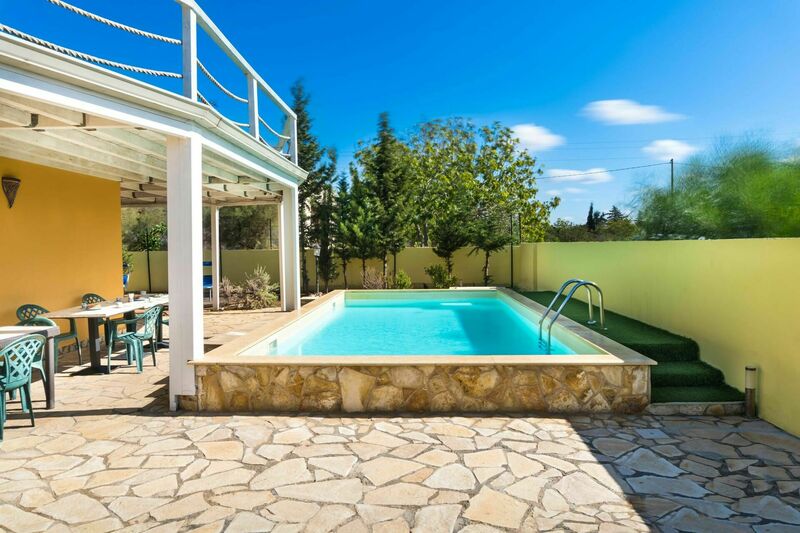 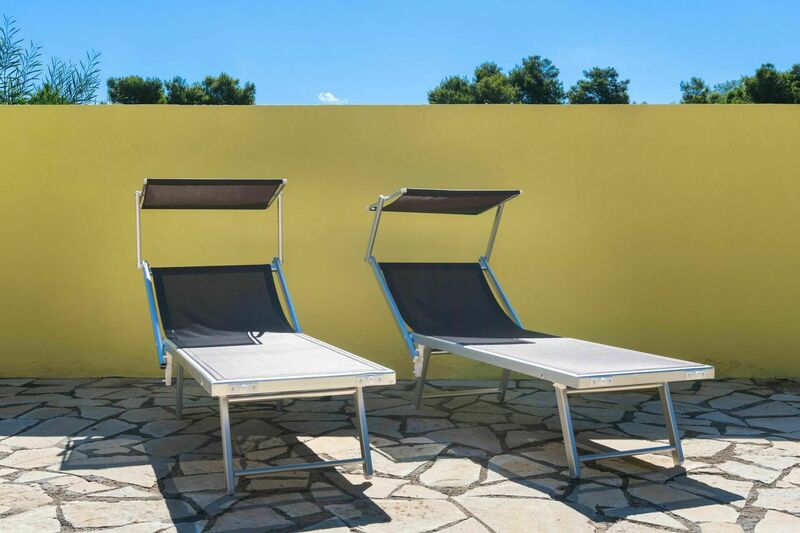 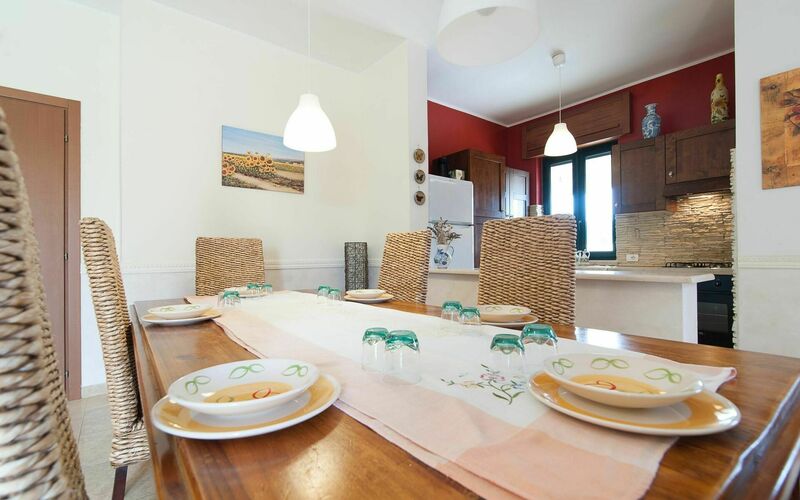 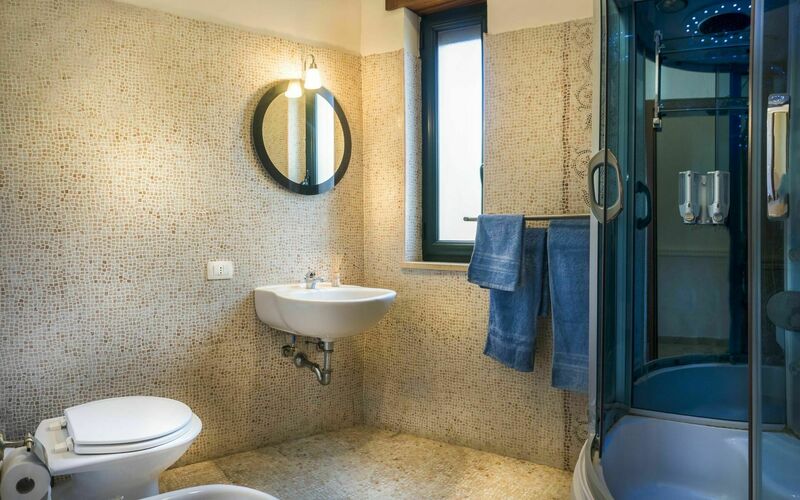 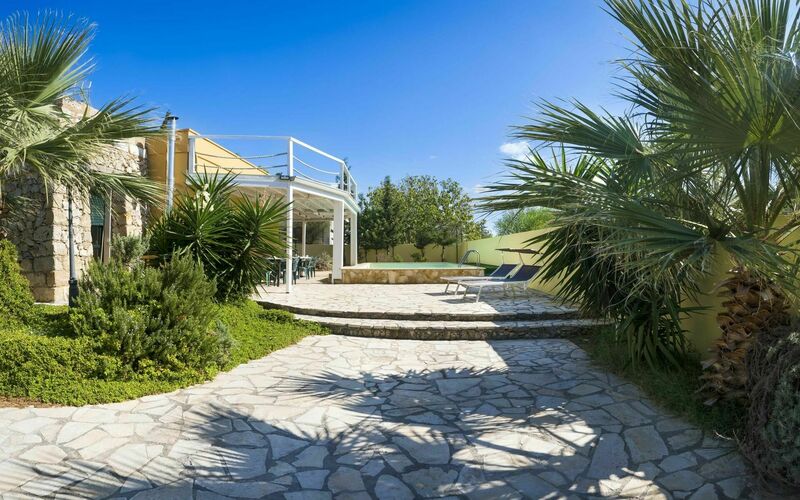 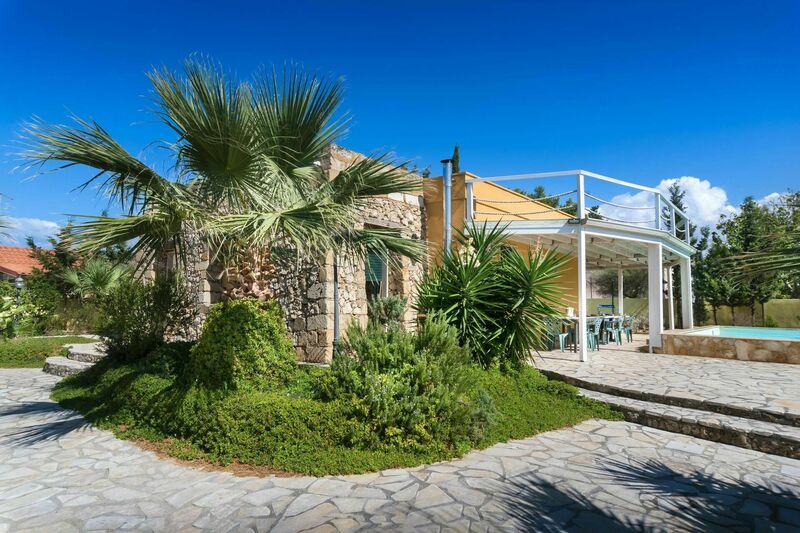 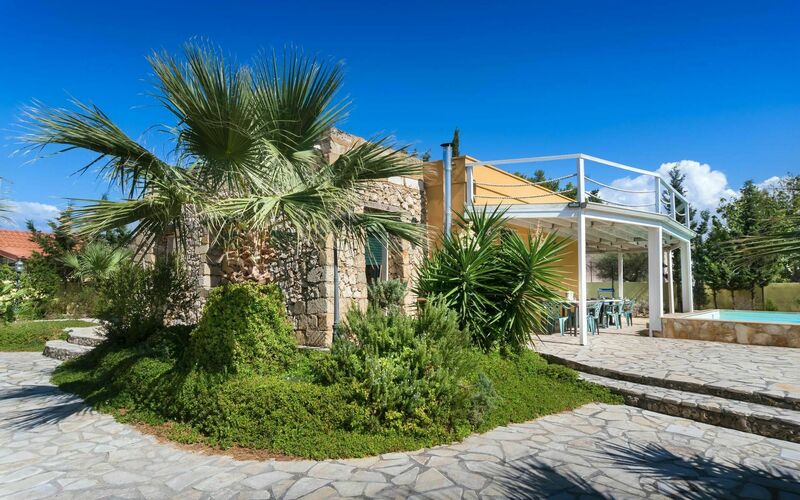 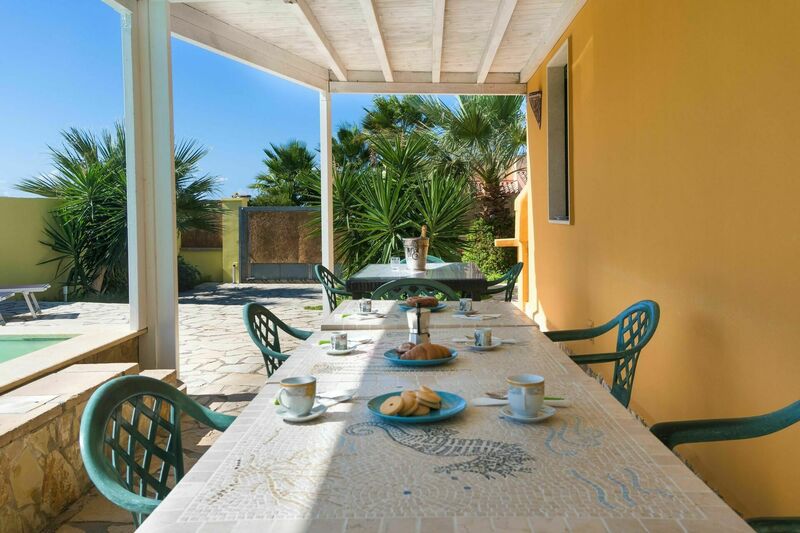 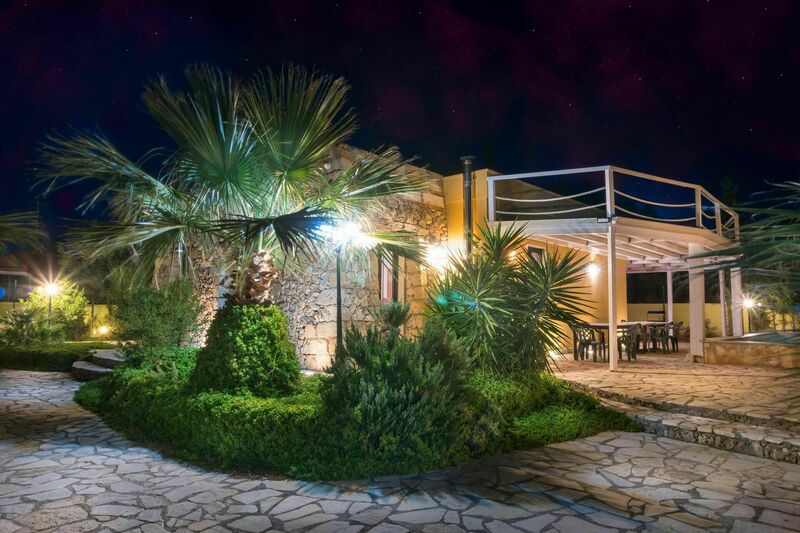 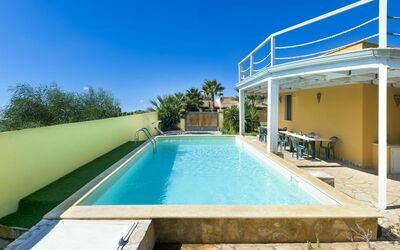 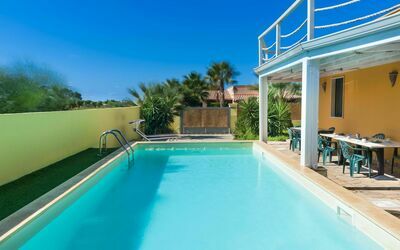 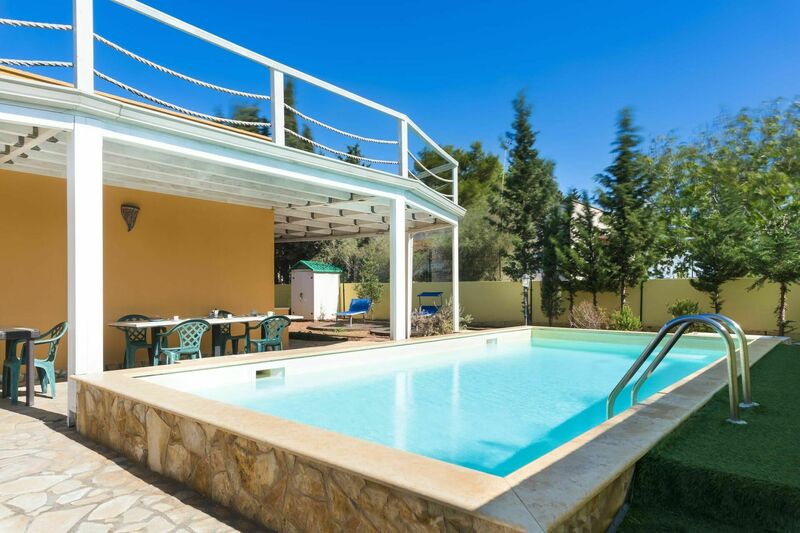 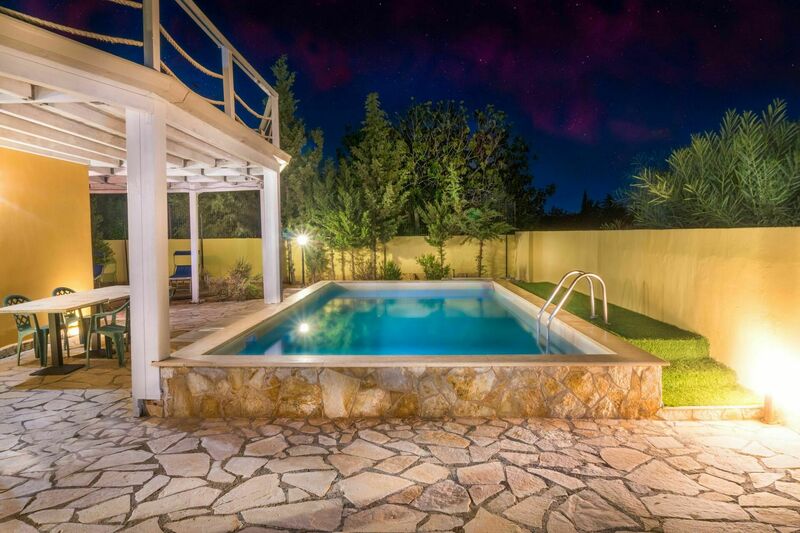 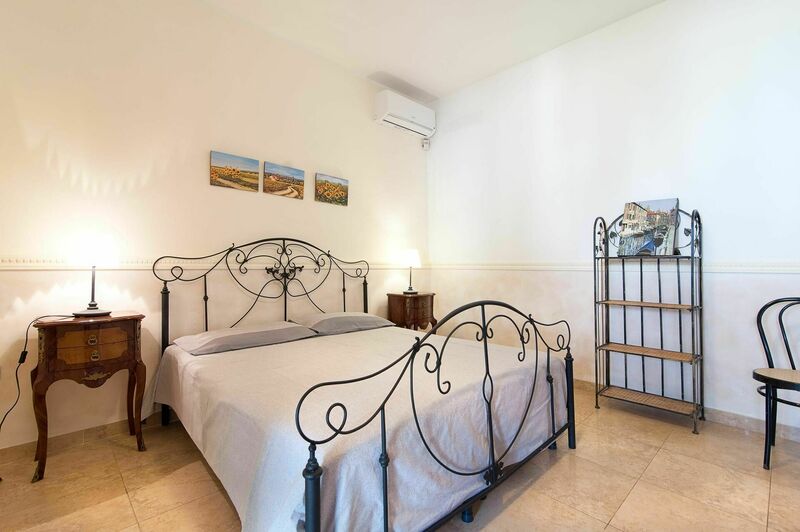 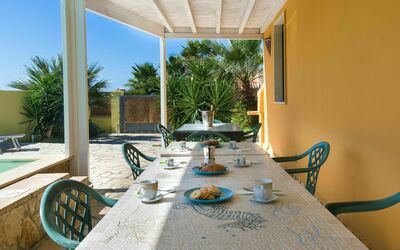 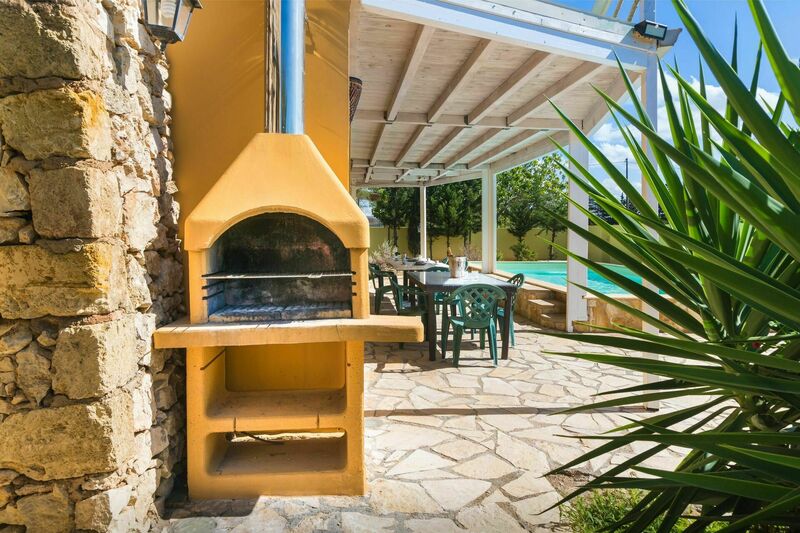 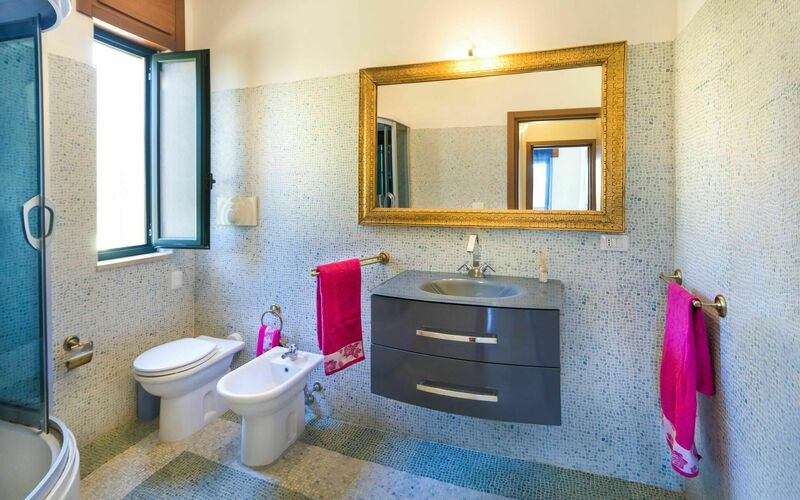 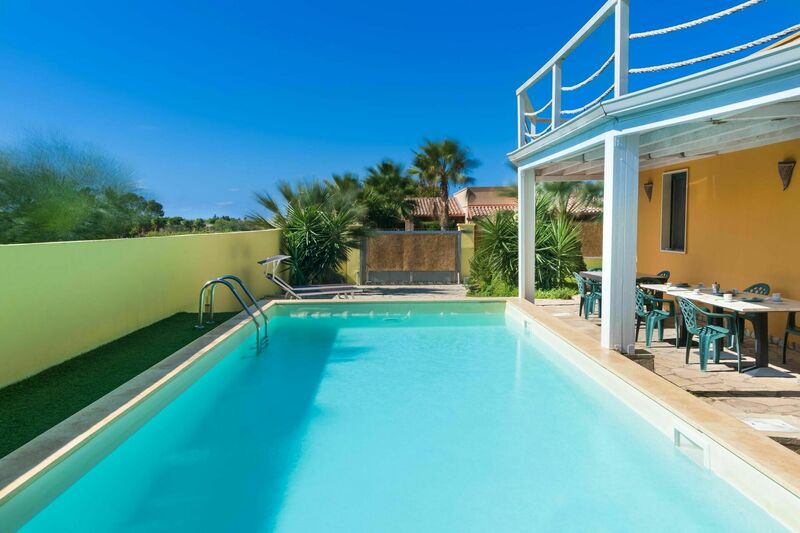 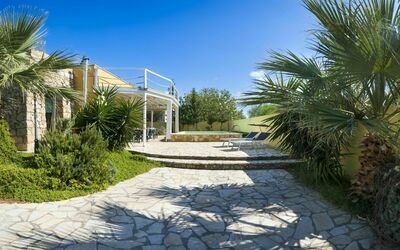 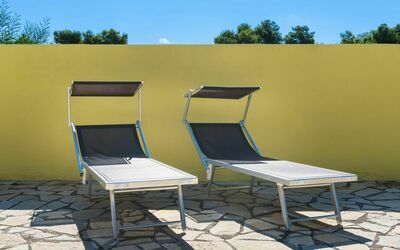 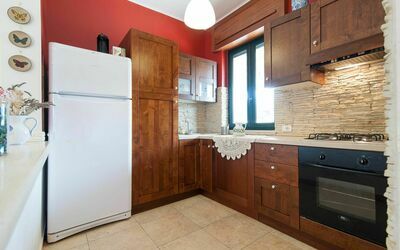 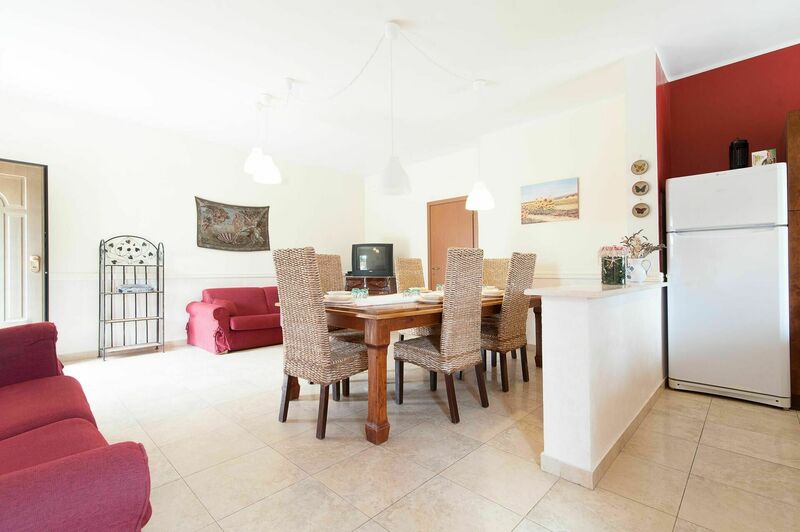 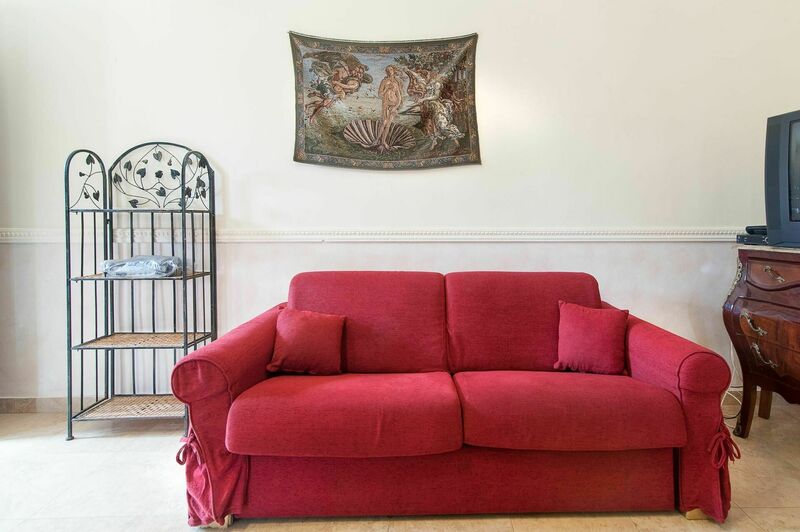 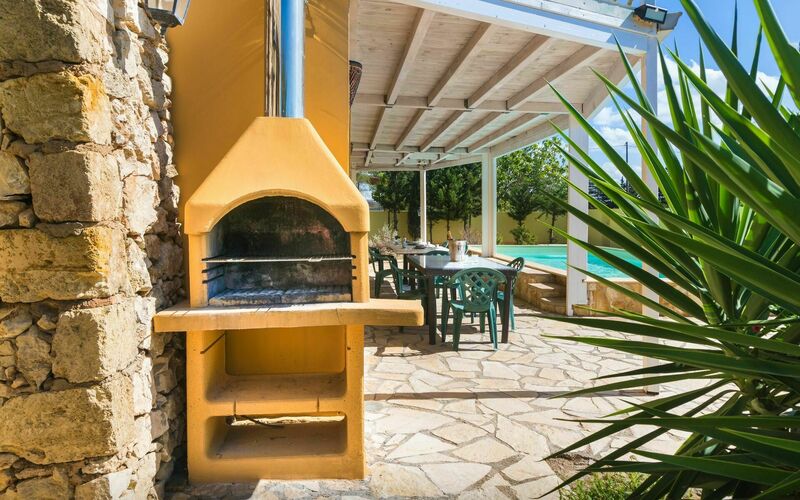 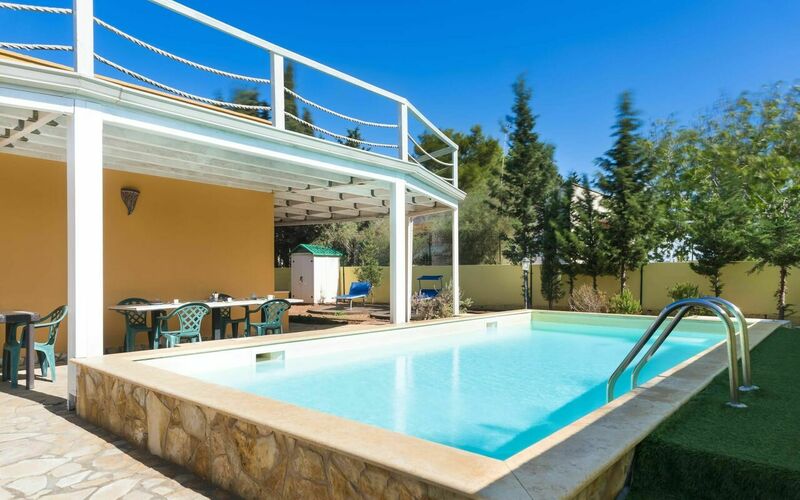 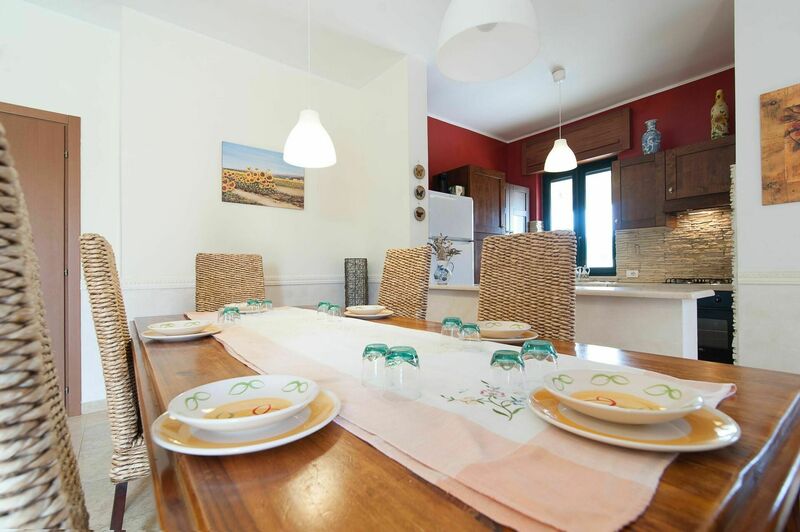 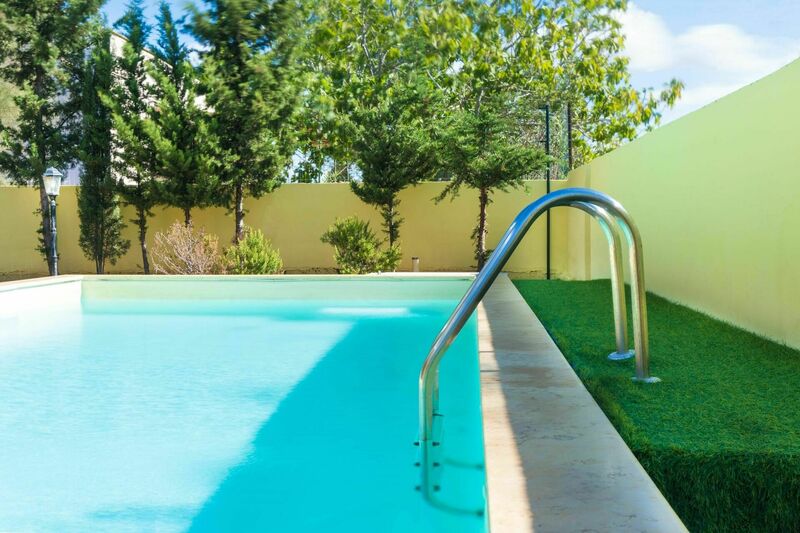 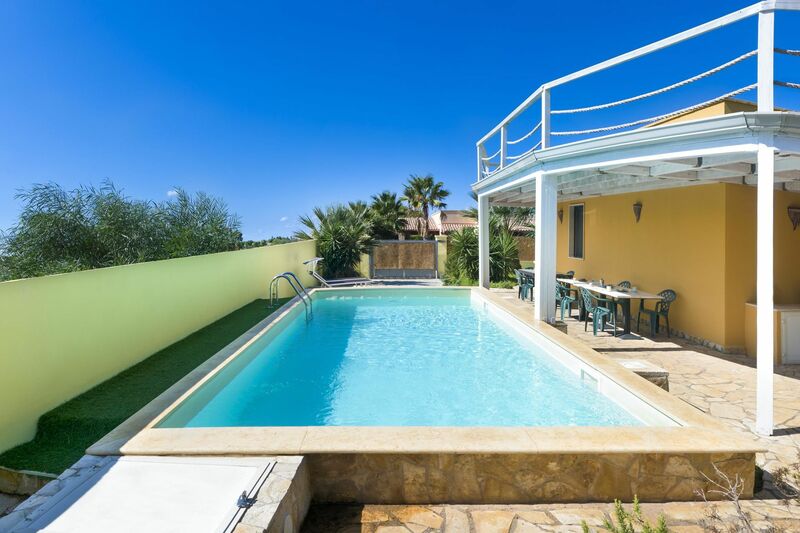 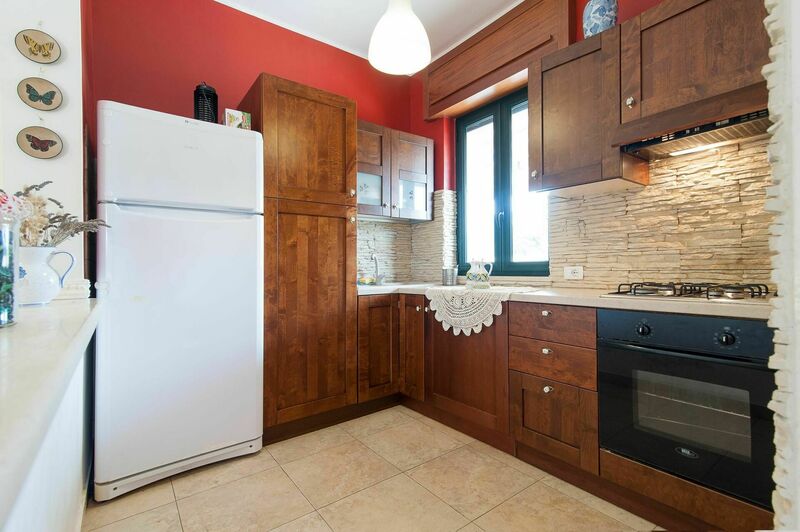 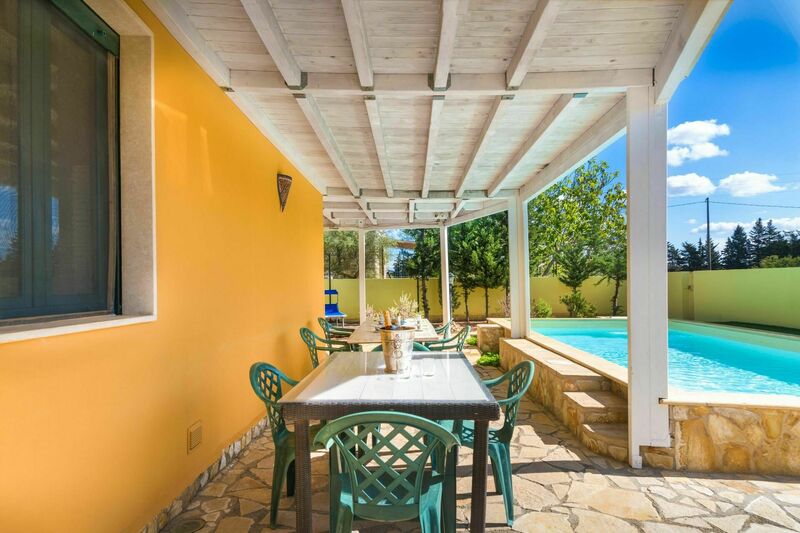 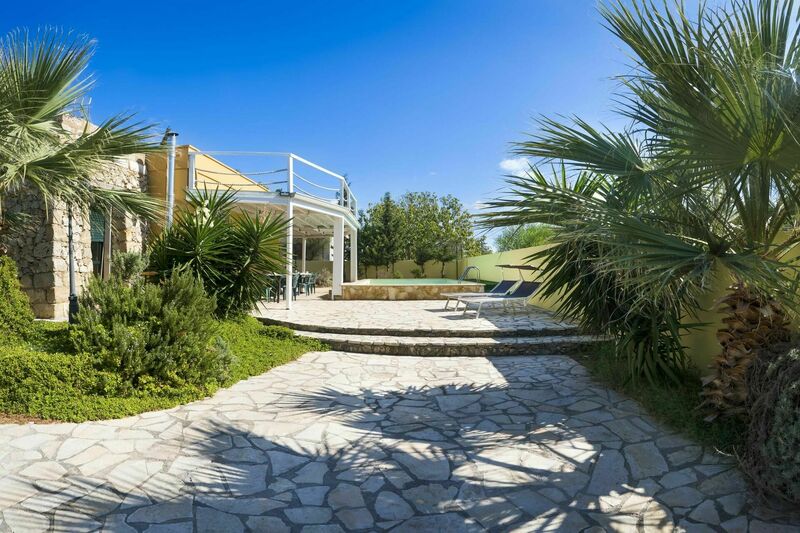 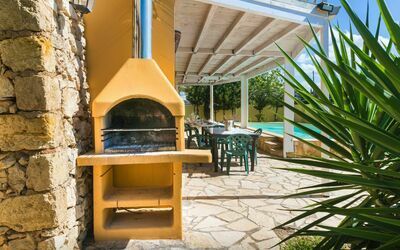 This lovely villa is a great location for those planning a vacation where they can enjoy the mediterranean landscape or explore local Italian life in the city streets with friends and family. 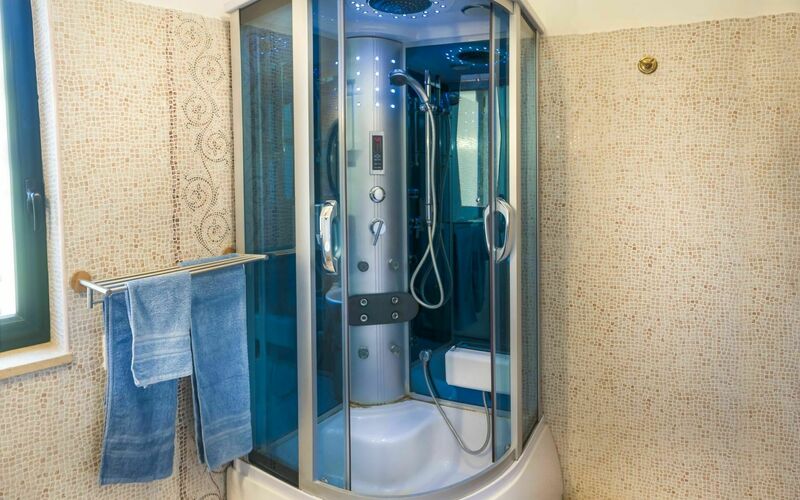 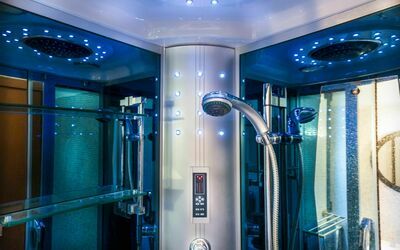 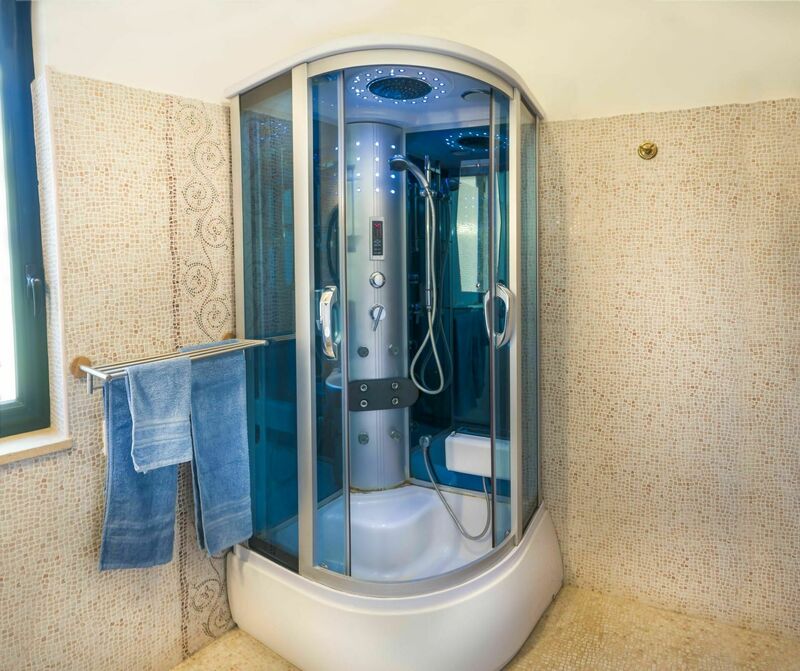 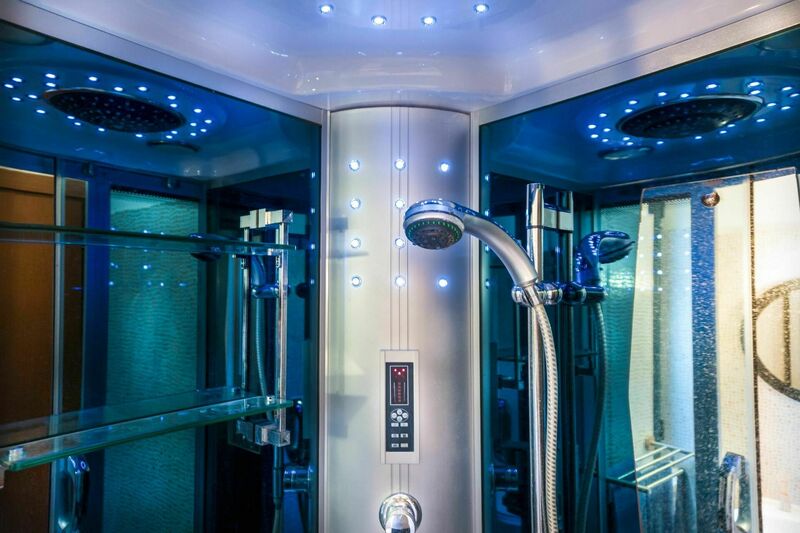 Equipped with: a/c upon request, dehumidifier, washing machine, barbecue, linens on request, hydromassage shower, outdoor shower, TV, heating, fan.